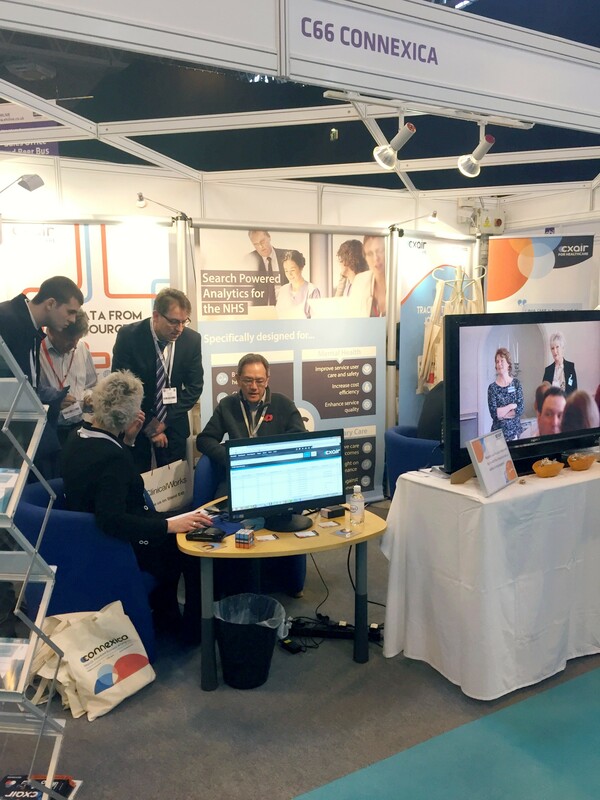 This week saw EHI Live 2015, the UK’s largest eHealth exhibition, arrive at Birmingham’s NEC to host delegates from across the country, each exhibiting goods and services related directly to health information. The conference encouraged attendees to think about the future of health information and to gain insight from experts in the field including Tim Kelsey, National Director for Patients and Information, and Beverly Bryant, Strategic Director of Systems and Technology, both from NHS England. Many of the speakers addressed issues surrounding leadership, best practice and innovation within healthcare IT, considering the ways in which these matters can be strengthened and developed in the future. Now in its eighth year, this was the first time that Staffordshire-based software company Connexica attended the conference. Connexica were able to present and demonstrate their main product, CXAIR, a Business Analytics tool that has been designed to meet the technological challenges of today. CXAIR stands out as an innovative product by offering a search-powered data discovery solution which eliminates the need for computer programming knowledge. The software allows for a self-service approach and can be successfully used by anyone who knows how to Google, saving organisations both time and money. Currently working with many trusts across the NHS, most recently Surrey and Borders NHS Foundation Trust and Peterborough and Stamford Hospitals NHS Foundation Trust, the conference was a great opportunity for Connexica to follow up on the progress they have been making within the health sector and to engage with a wide scope of health professionals and institutions. The event has been very successful for Connexica and has generated a lot of interest in their innovative software as companies and healthcare professionals were able to see the benefits of CXAIR first hand. Connexica look forward to exhibiting at EHI Live 2016 and to continuing their strong relationship with health and care providers in the future.